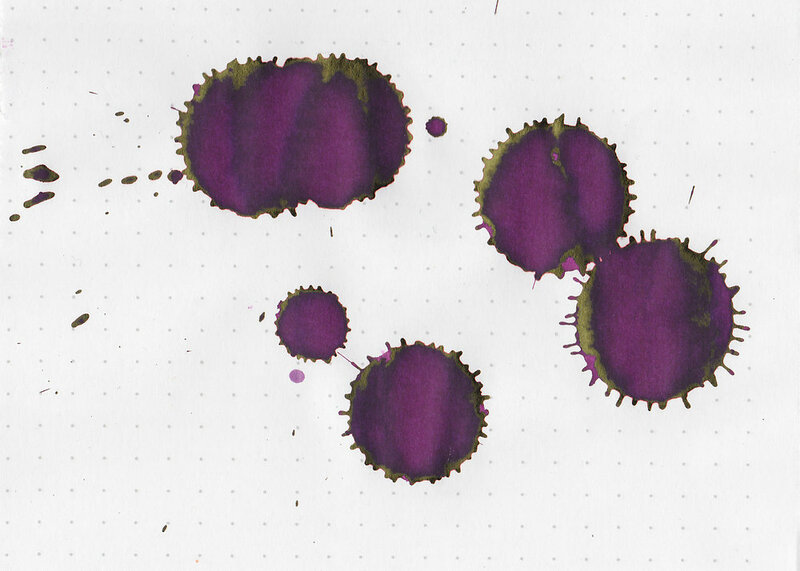 Today’s Bungubox ink is Sweet Potato Purple. This is another one of those inks that I’ve heard about often, but never gotten around to trying. Thanks to Pen Chalet for sending a sample over for review. 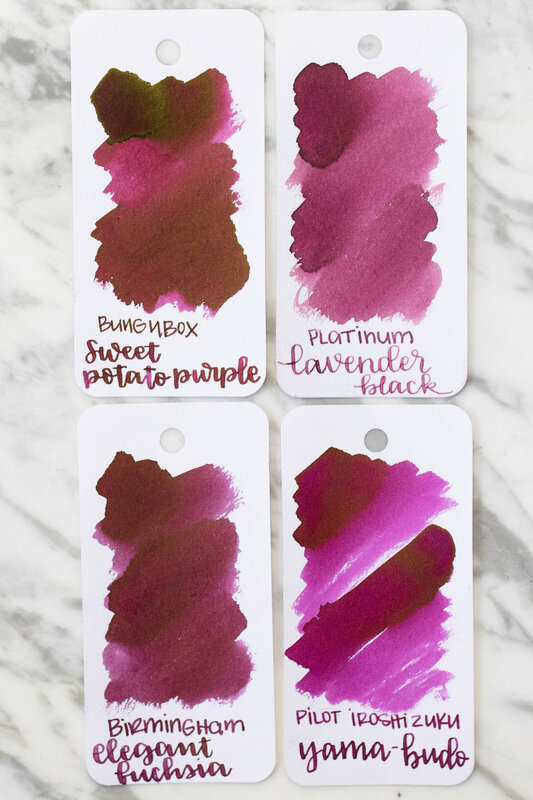 Sweet Potato Purple is a dark fuchsia purple. In large swabs the ink looks less red, and has a bright green sheen. Sweet Potato Purple is a bit more red than Elegant Fuchsia. Click here to see the Bungubox inks together. I used a fine Lamy 2000 on Tomoe River 68gsm. The ink had a wet flow. Overall, I really love the color and flow of this ink. It’s a great color for fall and winter.